The market has turned flat following Nifty trading down by 0.08 per cent and Sensex up by 0.09 per cent. There has been a trend reversal for Nifty after 7 days of consecutive gain. The overall market has fallen 0.13 per cent with lower volumes of 11.81 per cent. Following this, more stocks have declined, amounting 1441 against 1045 advance stocks and Mcap of the entire market has fallen by 0.35 per cent. Mid Caps have dragged the market with Nifty Midcap100 falling 0.35 per cent. All MCap categories have fallen. Overall, 34 sectors have declined while 9 sectors advanced for the same period. As of now, the top gainer is Nifty Realty by 1.70 per cent hike and the top loser being Nifty CPSE at 2.74 per cent fall. Both indexes Nifty Realty and BSE Realty are positive at 1.74 per cent and 1.57 per cent, respectively. 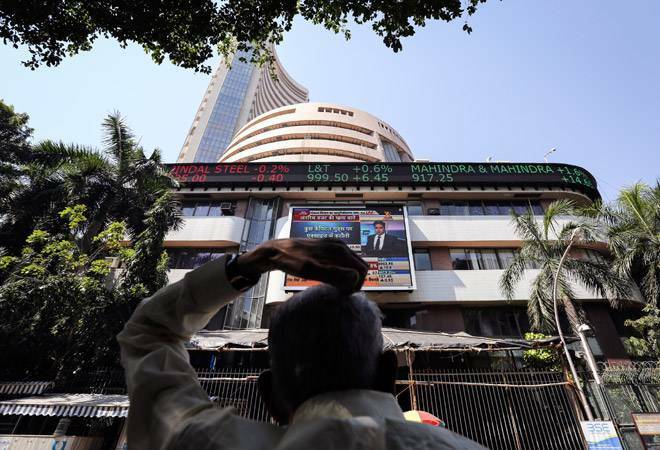 Indian shares were largely unchanged on Wednesday, keeping domestic equity benchmarks (Sensex and Nifty) flat as the buying interest in Infosys, HDFC, Larsen & Toubro, HDFC Bank and ITC was offset by selling pressure in ICICI Bank, Reliance Industries, Kotak Mahindra Bank and Bajaj Auto. Among the sectors, IT, financial services, pharma, realty, and PSU banks stocks are witnessing buying, while selling is seen in the auto, bank, FMCG, media and metal indices. Asian shares got off to a cautious start on Wednesday, holding close to six-month highs on hopes the US Federal Reserve will stick to a dovish stance and unveil a plan to stop cutting bond holdings later this year. Rcom, Spicejet and Godrej properties were among the top percentage gainers for the day whereas Tata Steel, Jet Airways, Hindustan Petroleum were counting in losers on the BSE. On the NSE, the major gainers have been Infosys, Wipro, Dr. Reddy and Hindalco Industries, Indiabulls Housing in contrast to Zee Entertainment, Bharat Petroleum,Indian Oil Corporation and NTPC ltd running in red for the day. Foreign Institutional Investors (FIIs) have pumped in Rs 23,000 crore this month so far, aiding the rupee to gain over 2 per cent against the dollar over upbeat investor sentiments. Tata Steel BSL: Tata Steel BSL allotted Non-Convertible Redeemable Preference Shares worth Rs 6500 crore to Tata steel. Jet Airways: An additional six aircraft (including one aircraft of Jet Lite (India) Limited), have been grounded due to non-payment of amounts outstanding to lessors under their respective lease agreements. Bharti Infratel: Telecom operator Bharti Airtel has transferred additional 16.76 per cent stake, worth Rs 10,000 crore, it holds in telecom tower arm Bharti Infratel to Nettle Infrastructure Investments Ltd in two tranches. Vodafone Idea Ltd: Vodafone Idea has approved the issuance of equity shares on rights basis aggregating up to Rs. 25000 crores in the ratio of 87:38.